A budget is financial part of a project. It is a place where you define what services you offer to a client and for what price. People working on a project track their time against services defined in a budget. 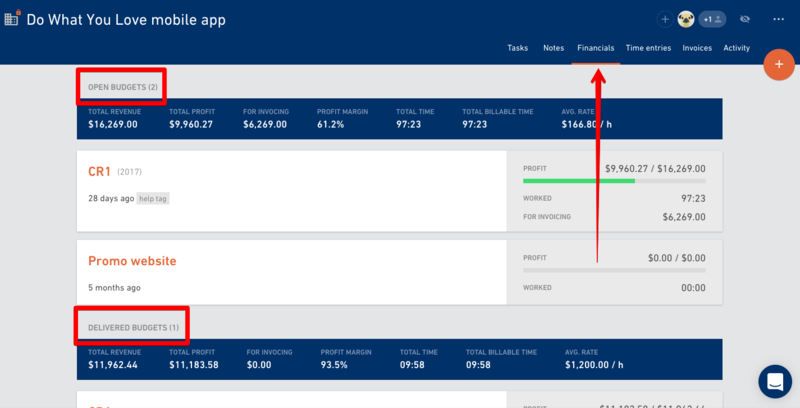 You add discounts and track expenses you might have on a project (you hired a contractor, bought licenses or storage space). Once a budget is closed, you create invoices and send them to a client. 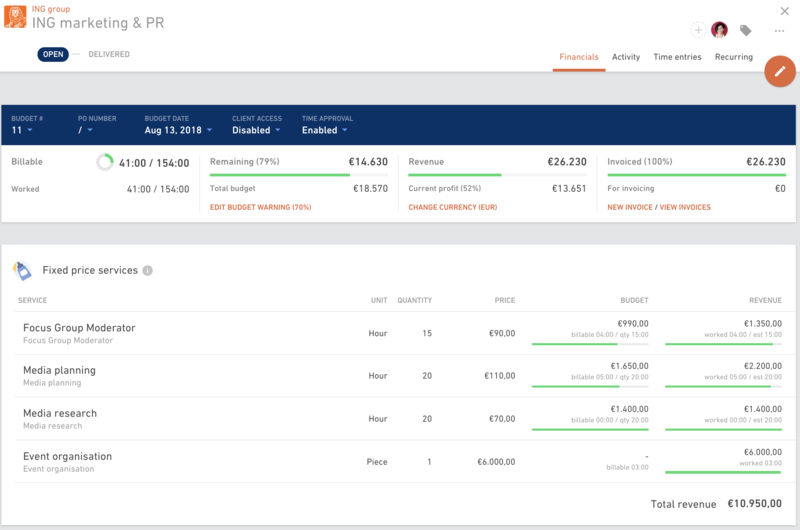 If you take a look at a Financials tab in a project, where you have a list of all the budgets for this project, you can see a financial summary for open (budgets you're still working on) and delivered (the work is done and can be invoiced) budgets.